There is a famous saying in the asset management world: “if you count all your assets you always show a profit”. Yet a staggering 81% of small and medium businesses do not have an accurate view of their assets. Most businesses rely on a couple of spreadsheets to manage their inventory and assets. Even in cases where businesses have an asset management solution, there is a tendency to export asset information into a spreadsheet. As a result, the level of inventory write-off has been increasing over a number of years. Whilst big companies have teams of accountants and auditors who help them to leverage the value of their fixed assets, small businesses tend to have a “do-it-yourself” attitude towards managing fixed assets which quite often can have an impact on cash flow, debt and financing avenues. Small businesses quite often do not appreciate that their assets help them to produce income, yet they do not keep an accurate record of all their assets. An effective asset register can have an impact on your revenue and cash flow by 5 – 18%, so whilst on a day-to-day basis it may seem a lot of admin work, in the long run, an accurate asset register can have an impact on your bottom line. So what is an asset register? 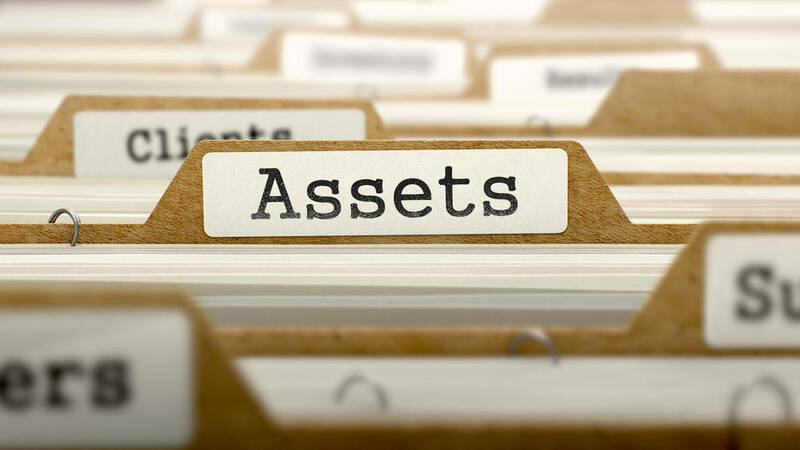 An asset register is a list of all your assets and includes details like location, condition and owner/user of your assets. The purpose of the asset register is to enable businesses to know the status, procurement date, location, price, depreciation and current value of any asset. What goes on to your asset register is governed by your capitalisation policy. For example, if you decide to record all assets that have a purchase value of £2000 then your asset register will contain only assets that had a minimum purchase value of £2000, i.e, a computer worth £1200 would not be on the asset register. The capitalisation policy differs from company to company; some businesses have it as low as £250 and others have a starting point of £5000. Your capitalisation policy basically regulates the minimum value of assets you want to track. It is vital to understand the difference between an asset and an inventory. An asset is owned or leased by a company, it helps to operate a company. Whereas an inventory is something that is leased to another company, a stock is an item that you sell. When businesses are small and have fewer than 100 assets which collectively are not worth more than £100,000 to £250,000, then a spreadsheet can be a good start for building your asset register. When you are a small business, you typically have one asset register which includes all your assets. Typically, when you have just one asset register, it is called a Fixed Asset Register. One of the key elements to note here is your fixed assets can be movable too. This comes back to your capitalisation policy – if you decide to include all your assets worth more than £2000 then your company vehicles and fleet will also be under a fixed assets register. It is important to note that Fixed Assets need to be assets that are fixed, they can be movable items and also include IT Assets. If you are a medium to large company, then depending on the type of industry you are in, you are likely to have three different types of asset register. Below are the typical elements of a fixed asset register. How to keep an asset register consistently accurate. When you are creating your first fixed asset register, it is recommended you take an export of all your assets as recorded in your accounting or asset management software. The next step is to take a physical audit of all your assets. Physical audits can be easier if you have tagged all your assets with a barcode or RFID labels. If you are a small company, then you can hire external auditors to record all your fixed assets. After the audit, you can compare the list of assets from your accounting or asset management system with the physically audited assets. Inevitably, you are likely to find a difference between the audited assets and your list of assets. Missing assets are technically termed as Ghost Assets which are typically written-off. Unusable assets are typically repaired and brought back to service or written off if repairs are unfeasible. Once you have created your master fixed asset register, keeping it updated and accurate can be challenging, particularly if your assets move across multiple locations. Most companies will tag all their assets with barcodes or RFID labels so that they can track movement of their assets. You can view how leading companies track their assets and inventories. If your assets are capex-heavy, then we recommend you perform a physical audit of your assets at least twice every year to accurately record all your assets. Challenges in keeping an asset register accurate. By now, you’ll hopefully agree that maintaining an accurate asset register is critical to know the exact value and status of your assets at any given time. Quite often companies rely on spreadsheets to manage their asset register. Whilst we are all aware that spreadsheets are very easy to use, they are not designed to maintain an accurate asset register. Most information related to your assets is dynamic. For example, the location, user, project on which your assets are used, depreciation value, warranty information and maintenance information are all dynamic. It is very difficult to maintain the accuracy of a spreadsheet when you are managing dynamic information and in most cases multiple teams enter different information about your assets. It is for this reason that an asset register software is highly beneficial to maintain accuracy of your asset register. Most modern asset register software is cloud based, which means multiple teams from multiple locations can edit information about your assets. Moving forward with internet-based tracking and equipment being able to transmit its location and status, maintaining an accurate register is likely to require fewer manual inputs. For example, a compressor would update its location and transmit that information to your asset register software, so that you don’t have to use tags or manual scanning to update the location of the equipment. The importance of Asset Audit and Depreciation Method used to maintain accurate asset register. Physical asset audits are understated. Whilst maintaining an accurate asset register digitally is vital, it can be complemented with physical audits which will increase the effectiveness of your asset register. Physical audits provide vital “What you see is what you get” information which is sometimes difficult to capture digitally. For example, Environmental Wear and Tear is almost impossible to fully describe without a physical audit. Another benefit of a physical audit is that it provides significant confidence in the accuracy of your asset register. As a result, you will better handle external audit and compliance-related situations. It is important to note that your depreciation method is likely to vary by the type of asset. For example; for most intangible assets, straight-line depreciation is not applicable. In effect, developing an accurate asset register can seem like a lot of admin and manual entry work, however it can be automated to a degree by using an asset register software. With tactful use of asset audit and appropriate depreciation method you will be able to formulate your fixed asset management strategies and impact your income by 5 to 18%.